Lifesaving South Africa is SA’s peak water safety, drowning and rescue authority. Lifesaving South Africa is an internationally renowned lifesaving organisation. The essential service provides excellent standards of leadership and lifeguard training whilst encouraging innovation, development and first class service delivery. Membership participation and contribution is valued and encouraged. Pathways are identified and achievement recognised. The highest standards of behaviour, respect for each other and the public is stressed, maintained and expected of all members. Members benefit from a sports programme that caters for all ages and ability groups. Lifesaving South Africa provides an essential volunteer community service at the highest international standards for the public of South Africa. 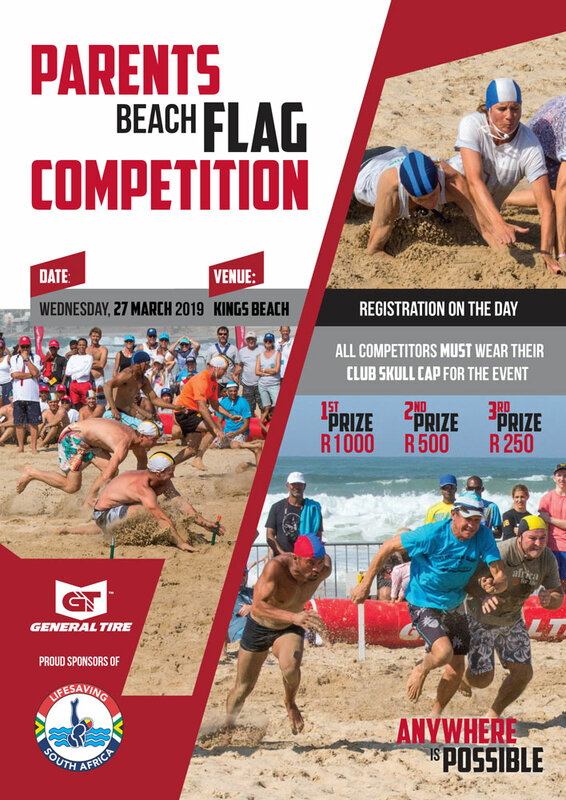 Not only do the bathing public benefit from the Lifesaving capability of our lifeguards, the community also benefits in many situations away from the bathing facilities where training and skills of our members provide a much safer environment in South Africa. Lifesaving South Africa is the national authority in the effort to prevent drowning. LSA is the National Association for Lifesaving and Lifesaving Sport in South Africa. In these roles LSA leads, supports and partners with national and international organisations committed to drowning prevention, water safety supervision, emergency response and sport. If you have any queries regarding, competitions, events or sponsorship or simply want to get in touch with us, please fill in the form and we will get back to you as soon as possible. 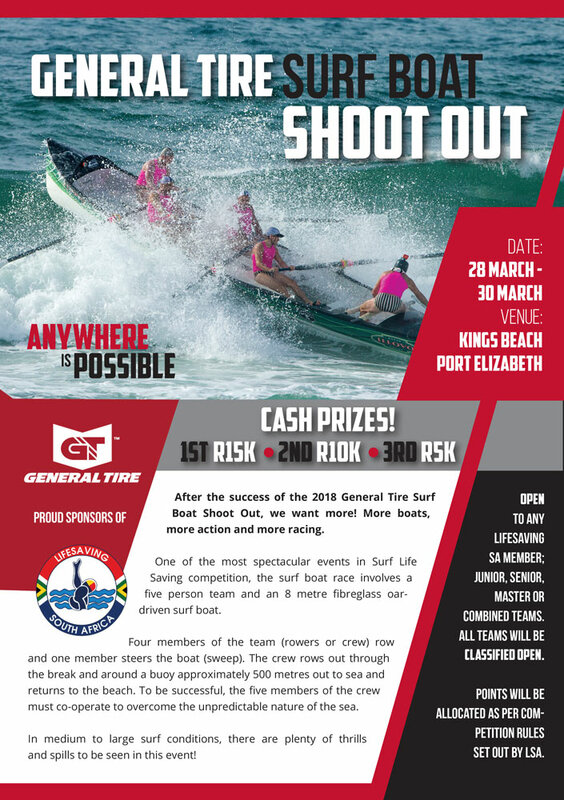 Preparations are underway for the 2019 General Tire Lifesaving SA National Championships in Port Elizabeth from 24 March – 30 March 2019. 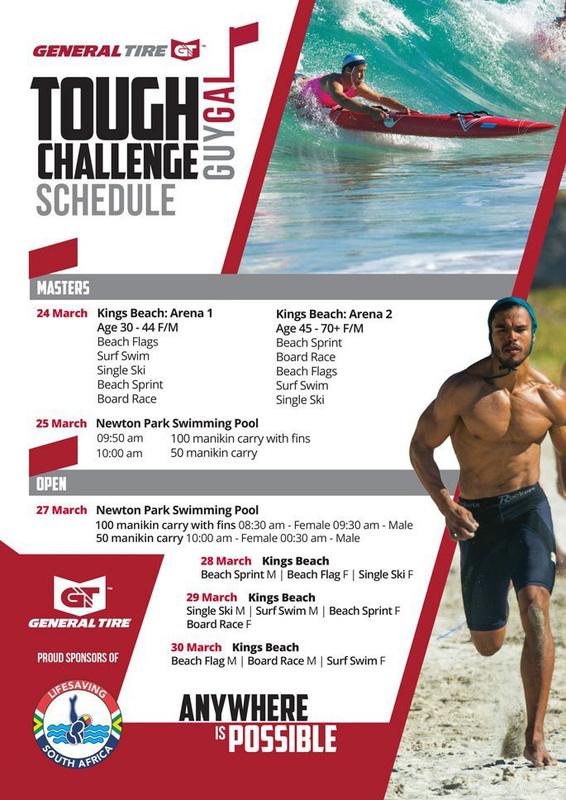 We are looking forward to an incredible event showcasing all the talent the South African Lifeguards have to offer. Don’t miss out, the countdown has begun!